Řídící jednotka ke stavebnicím Robotis DREAM. (geared motor, servo motor, touch sensor, LED module, IR sensor, etc.) can be connected to it. - RoboPlus Manager (Version 1.0.30.0 or higher) can be used for firmware recovery. - RoboPlus Task (Version 1.1.0.0 or higher) can be used to write task code that is downloaded onto the CM-150. - A mini USB cable or an LN-101 can be used to connect the CM-150 with a PC to download programs. - The m.Task app for mobile devices can be used to download programs using a wireless module. - The BT-210 / BT-110A / ZIG-110A wireless modules can be connected to the CM-150 for wireless downloading. 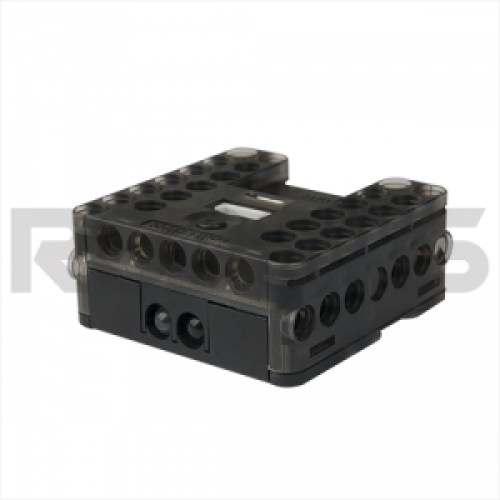 - The CM-150 controller does NOT support RoboPlus Motion. - The CM-150 can NOT replace the CM-100A controller used with OLLO products. - Embedded programs are not provided, and software other than RoboPlus can NOT be used. * Download cable NOT included.